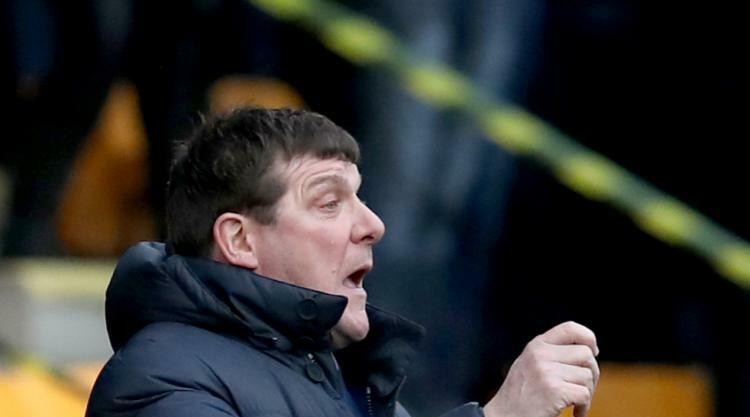 St Johnstone face an uphill struggle to avoid instant Europa League elimination after going down to a 2-1 home defeat to 10-man Lithuanian side FK Trakai. The visitors scored early through Maksim Maksimov and quickly restored their lead after Joe Shaughnessy headed home in the 32nd minute. A magnificent 25-yard strike from Vaidotas Silenas - who was later sent off - earned them victory against a Saints side who lacked creativity before the second-half introduction of debutant Stefan Scougall and Graham Cummins missed a great chance to level. Tommy Wright's side began the first qualifying-round tie with attacking intent but it quickly fizzled out and the visitors created the first chance when Aleksandr Bychanok headed wide after a long spell of possession. Trakai, whose only European win came against Faroese side HB Torshavn, are second in the Lithuanian league after 16 games and they looked sharp and confident on the ball. They were getting men forward including both full-backs and their 14th-minute opener came from an overlapping run by Valdemar Borovskij. He slid the ball in from wide and it was not cut out by the home defence, featuring 22-year-old debutant Ally Gilchrist in for injured captain Steven Anderson, allowing Russian striker Maksimov to sweep home from 12 yards. Saints were struggling to string passes together but they carved out a chance after a long free-kick into the box. Blair Alston had a shot saved from a good position before Cummins saw his follow-up blocked and then shot over. The hosts took encouragement and they levelled when Shaughnessy met Liam Craig's inswinging corner at the back post. But the 5,636 crowd was silenced four minutes later. There appeared little danger when Silenas collected a pass right on the corner of the box on the left flank but he fired a shot which looped over Zander Clark into the far top corner. Trakai had not conceded more than one goal in a game all season and did not look like losing that record in the early stages of the second half. That prompted a double midfield switch from Wright in the 62nd minute with new signing Scougall brought on alongside Chris Millar. The former Sheffield United player made an immediate impact, firstly getting to the bye-line and crossing for Craig to shoot over, before hitting the post himself from 15 yards. Alston had a shot deflected wide before Cummins was penalised for a clear foul on goalkeeper Ignas Plukas as he forced the ball into the net following a corner, but Saints were handed a lifeline in the 82nd minute when Silenas received a second yellow card for a foul on Scougall. Cummins should have levelled moments later when Alston set him up six yards out but the Irishman shot straight at Plukas.